Nature is wonderful and in it exists all kinds of cute exotic animals, and weird, unique, unusual pets. To survive and thrive exotic animals need to adapt to their environment or perish, this is called natural selection. Some environments are easy to adapt to, some, not so much like extremely cold or extremely hot places. One type of surrounding that would be very hard to adapt to would be a place where it is very dry, like the desert; We all need water to live and animals, whether big or small need water too. But some very rare exotic animals have found out a way, over many generation and genetic mutations, to live in such harsh conditions, either without or with very limited access to water. 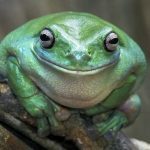 Somepets.com has compiled a list of exotic pets that are so cute, you won’t believe they live in such extremely harsh conditions. 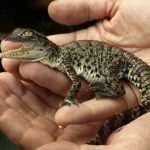 Some of these cute rare animals would certainly make cool exotic house pets but some, in spite of being adorable and cute, are dangerous or unpredictable and are better left in the wild! 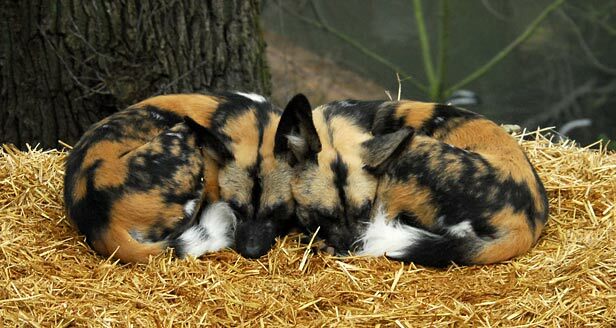 The African wild dog lives in the south of the Sahara Desert and is an endangered specie. 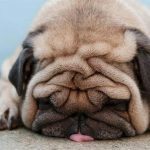 It is not domesticated and would probably not make the best exotic pet since it has a very different temperament than the pet dogs we know and are simply too wild. They are very similar to wolf, and like wolves, don’t make good pets because they are meant to be free and walk miles every day to hunt and feed the pack. 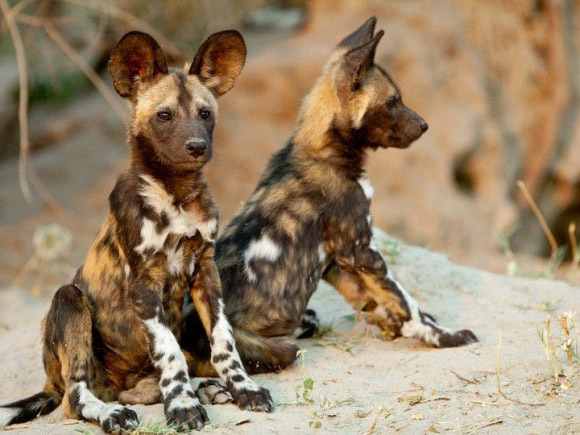 Without the proper “stimulation” every day the African wild dog would become extremely aggressive and dangerous. That being said, they would be a very cool pet to own though! The fennec fox is the smallest in the fox family and also, like the previous two cute rare animals: the African wild dog and the caracal, lives in the Sahara desert. 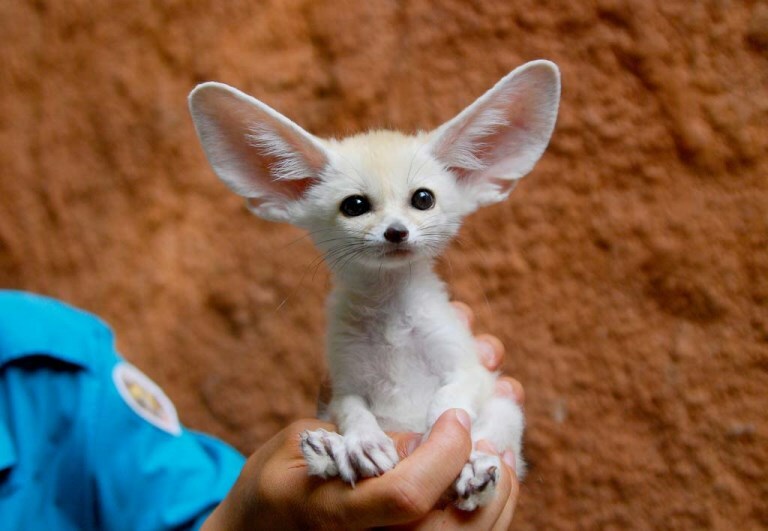 It’s adorable giant ears help the fennec fox dissipate heat during the day, and it’s cute thick white coat protects him for the cold desert nights. To help survive in the desert, the fennec foxes have developed into nocturnal animals, they sleep during the day and hunt at night. 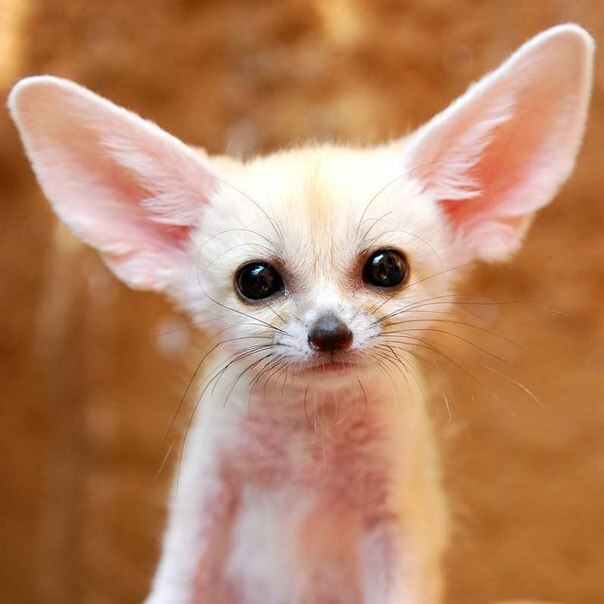 Do fennec foxes make the best exotic pets? Fennec foxes can make very cool exotic pets! 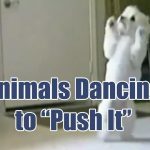 They are the size of a cat with the energy and playfulness of a dog. They are pretty independant, more like a cat but can be pretty snugly when they want too. It is unknown at this point if the fennec fox is an endangered specie and it is legal to won as an exotic pet in certain countries. Hyenas can be found in many places in Africa like grasslands, savannahs, and deserts. They are mostly scavengers but don’t be fooled, they are very intelligent and are smart and capable hunters. 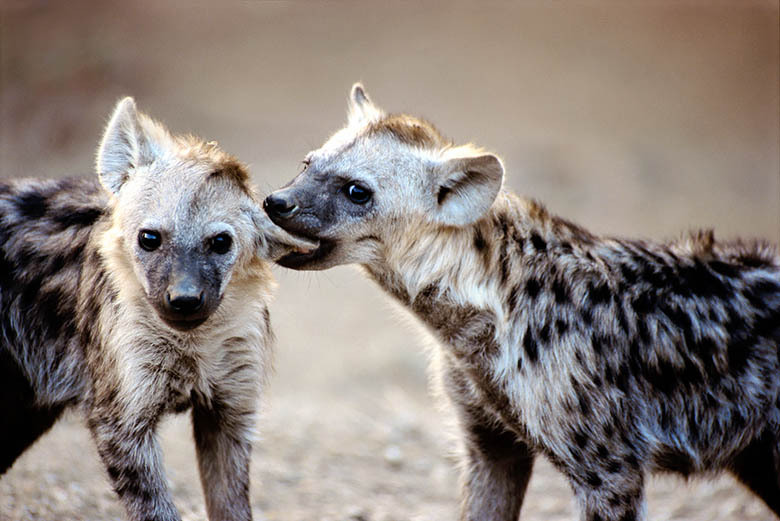 Hyenas live and hunt in groups of as much as a 100 individuals and fight among themselves a lot! 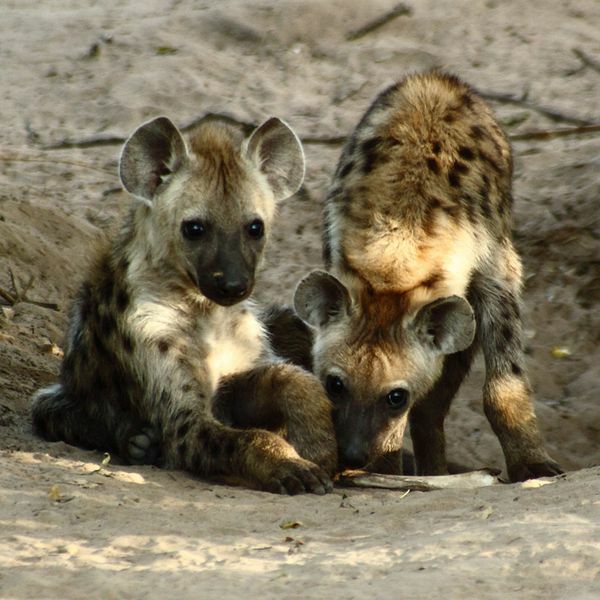 Can the hyenas make cool exotic pets? Maybe the hyena puppies are cute, but the fully grown, mature hyenas are nothing but cute and can grow to be very large, up to 190 pounds! If you are looking for rare exotic animals that would make good unique pets, keep looking because the hyena is illegal to own as a pet in most countries and is one of the most dangerous animal of the animal kingdom! You can watch the story of Bryan Hawn here: Bryan Hawn and his pet Hyena to learn more about owning a hyena as a pet! 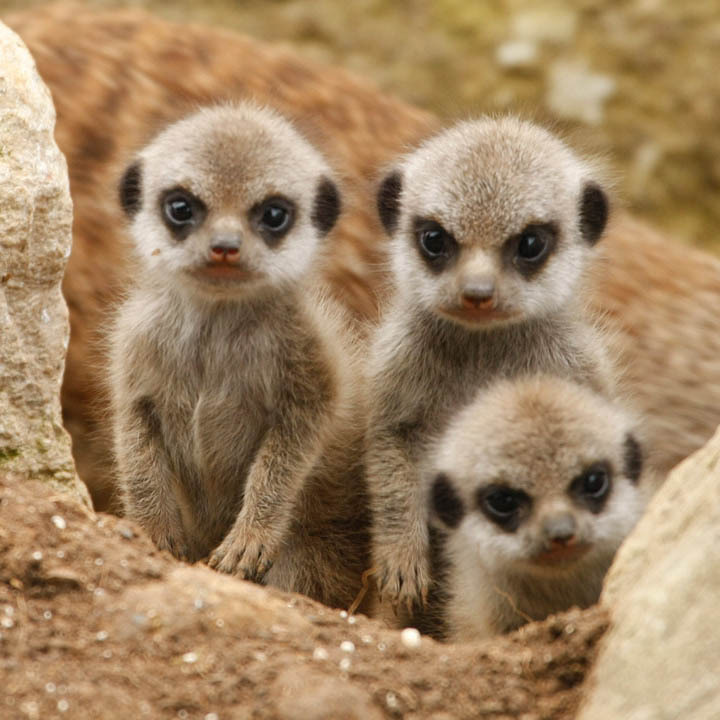 Meerkats can be found in the Kalahari desert’s grass-lined burrows in Botswana and other parts of southern Africa like the Namib desert in Namibia and in Angola. 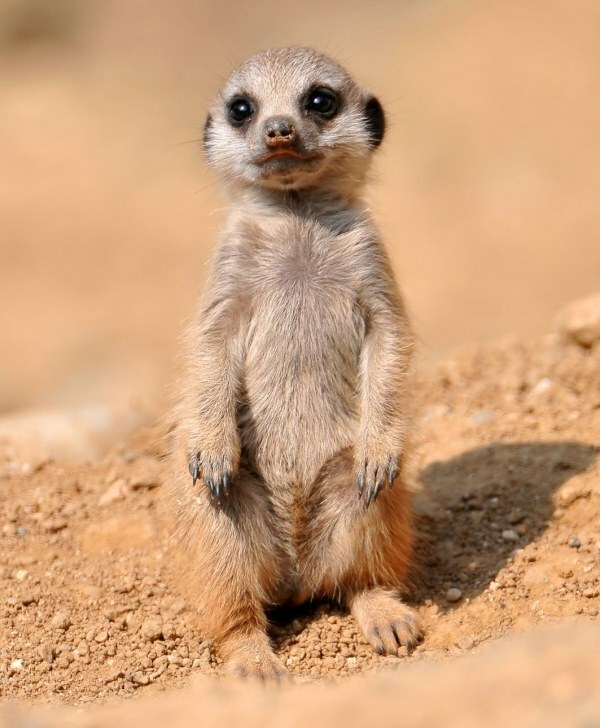 The meerkat is the size of a squirrel and has been made famous by the very popular British television show on Animal Planet “Meerkat Manor”. 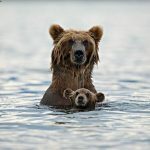 It is a very social animal that lives in groups of as many as 40 members and everyone pitches in when it comes to hunting and raising the young. Meerkats are obviously extremely cute but do they make good exotic pets? In certain countries like the UK it is legal to own meerkats as cute exotic pets, but that doesn’t mean they make good pets! 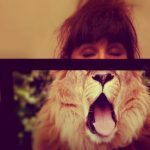 Complaints from meerkat owners? They are difficult to train in terms of bathroom regiment, they can mark their territory, and can be aggressive with strangers. The Ocelot, also called the “dwarf leopard” is a cute wild cat with a magnificent spotted fur mostly found in Central and South America but sometimes as well in Texas, USA. 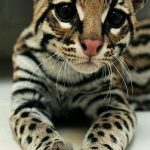 It is about twice the size of a domesticated house cat, weighing around 17 to 24 pounds and in the wild the ocelot lives between 7 to 10 years. Ocelots are considered to be endangered by Mexico and US Fish and Wildlife because their habitat is being destroyed by deforestation. They are also being hunted illegally for their beautiful fur. Ocelots used to be kept as pets in the past but because of their endangered status it is now illegal to own them. 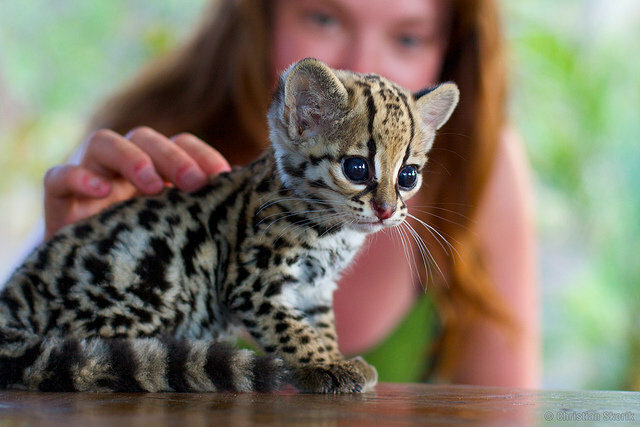 As exotic pets, Ocelots were very high strung and unpredictable so they really didn’t make the best exotic pets anyway! 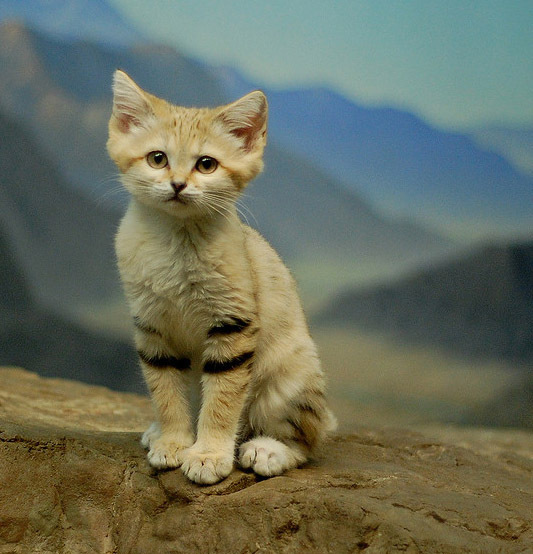 The sand cat otherwise called the sand dune cat, is an adorable exotic cat and is the only feline living in true desert conditions. 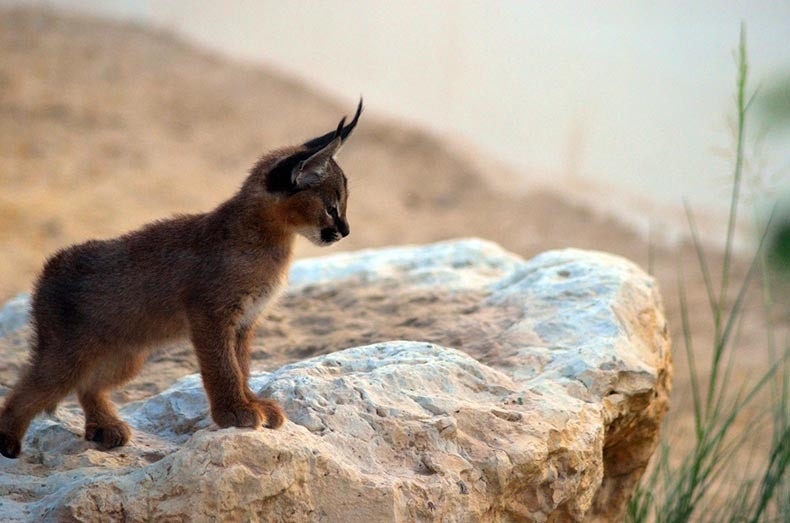 It is found throughout the deserts of northern Africa as well as central and southwest Asia. Sand cats only grow to weigh between 4 and 8 pounds and because of concerns regarding decline in the population size, since 2002 this little wild cat has been recorded as Near Threatened by IUCN. 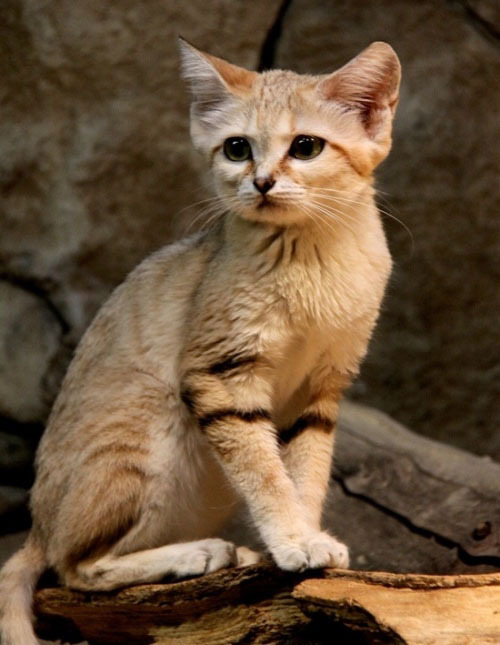 Sand Cats would probably make poor exotic pets even though they are small and cute because they are known to be very shy around humans and solitary, two big obstacles to bonding and socialization. 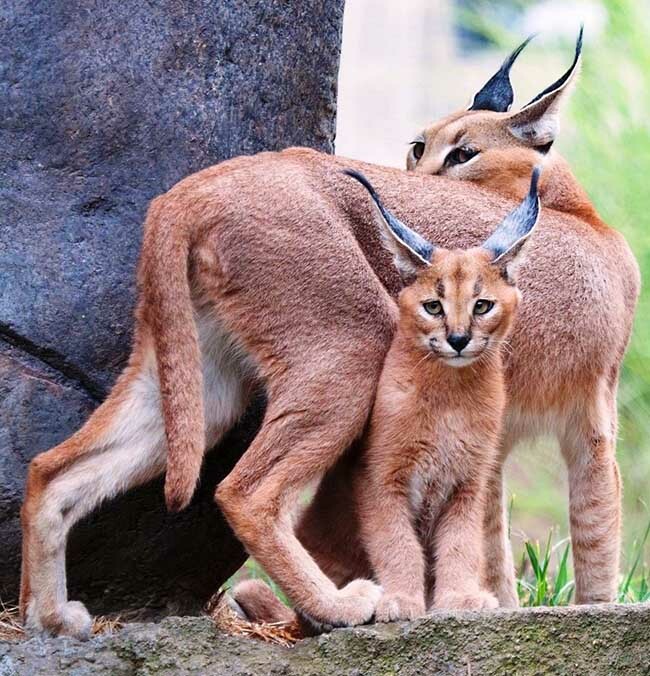 Their habitat and diet would also be very difficult to recreate in a domestic environment but since this exotic cat is endangered, it is probably illegal to own as an exotic pet in most countries around the world. 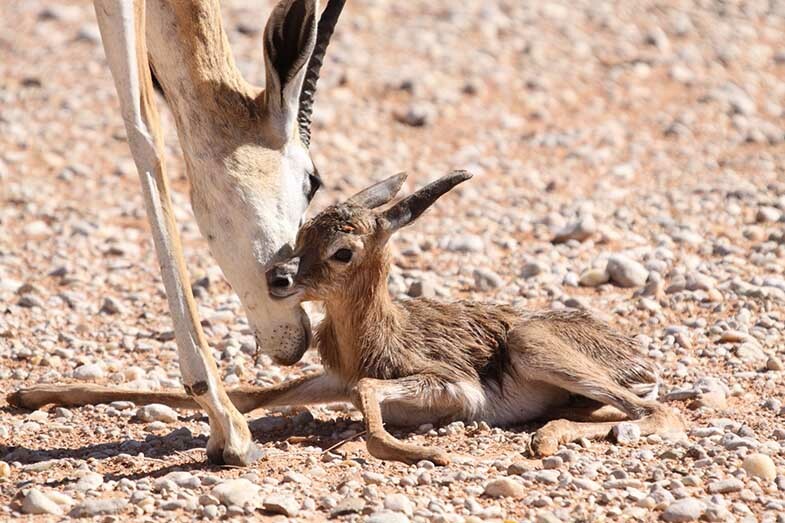 The springbok is a very cute, small, tan and white antelope-gazelle found in southwestern Africa. It is an extremely fast animal and can achieve speeds around 100 km/h (62 mph) and can jump 4 m (13 feet) in to the air. Springboks mostly inhabit dry inland areas in south and southwestern Africa. The springbok is not an endangered animal and might be legal in some countries to own as an exotic pet, but because of it’s size and wild nature it is not considered to be the best exotic pet! 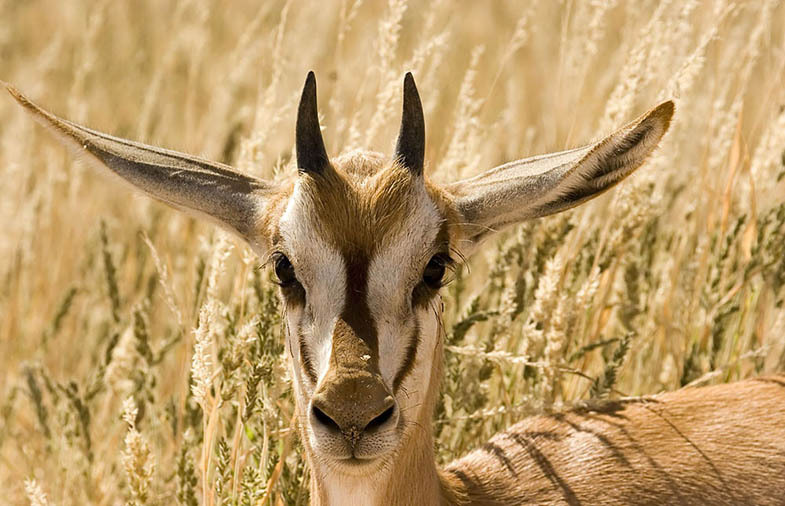 Springboks need a lot of space to run and roam so unless you live on a farm with a big land, the springbok shouldn’t be your first choice for a cute exotic pet. 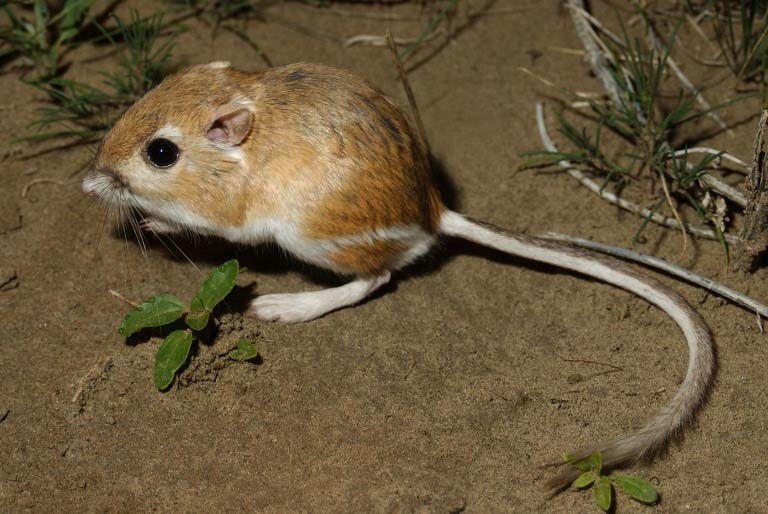 The Ord’s kangaroo rat originates from western Canada and lives in soft or sandy soil, scrub lands or grasslands. 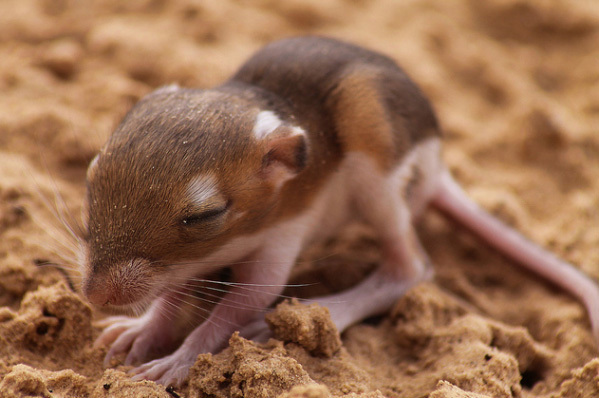 There exists 23 species of Kangaroo rats and some of them can be owned as cute unusual pets. Unfortunately, the Ord’s Kangaroo rat is one specie of kangaroo rat that is endangered so you might require a permit to own one of these cute rare animals or it might be illegal in your country. 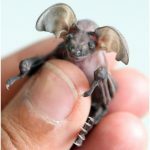 This unique pet is cute as a button and in spite of it’s name, is neither related to rats nor kangaroos! It gets it’s name from it’s unique long hind legs and feet that are giving him the ability to hop just like a kangaroo. Because of this great ability to jump, this unusual animal requires a lot of space, another reason why they are better off in the wild than in a cage! 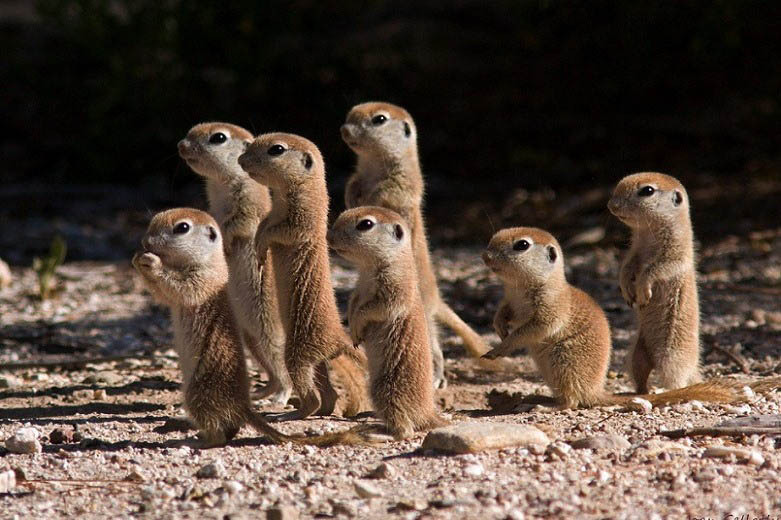 Prairie dogs are adorable tunneling rodents found in the meadows of North America. They are a kind of ground squirrel, living in the United States, Canada as well as Mexico. A prairie dog will develop to be between 30 and 40 cm (12 and 16 in) long, incorporating the short tail, and their weight varies between 0.5 and 1.5 kilograms (1 and 3 lb). Of the main 5 species of prairie dogs a few are considered endangered or threatened mostly due to mass extermination by farmers, who complain about their digging. 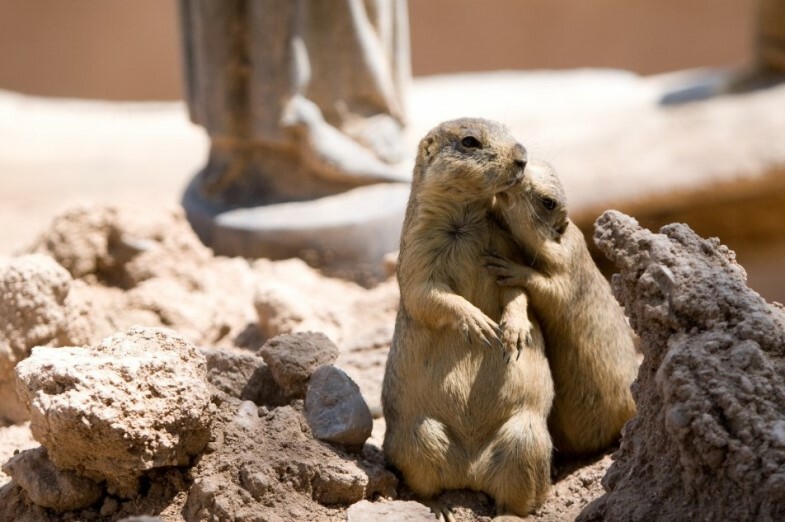 Prairie dogs are cute exotic animals and depending of the specie, can be owned as pets. 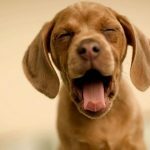 These unique pets are social, affectionate and very smart. They do require a lot of attention though and are territorial which means they will protect your home from strangers but can also bite your friends! 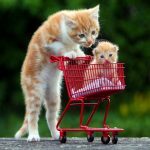 As for any wild animal, it is good to verify if they are legal to own in your area and make sure you know as much as possible about the animal and it’s needs before you decide to adopt one. 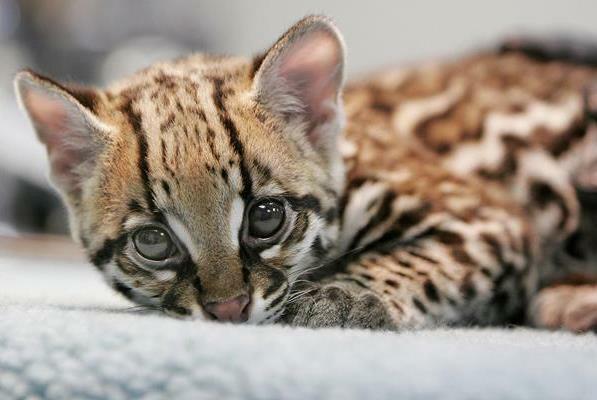 ocelots are not endangered. and are listed as least conern by CITES. They are listed as endangered by US Fish and Wildlife and in Mexico. Edited to reflect that.